Cricket Flour is a way that insects are being introduced to western diets. The flour is used as an ingredient and not the main feature. Milling crickets into a flour also takes away the ick factor. 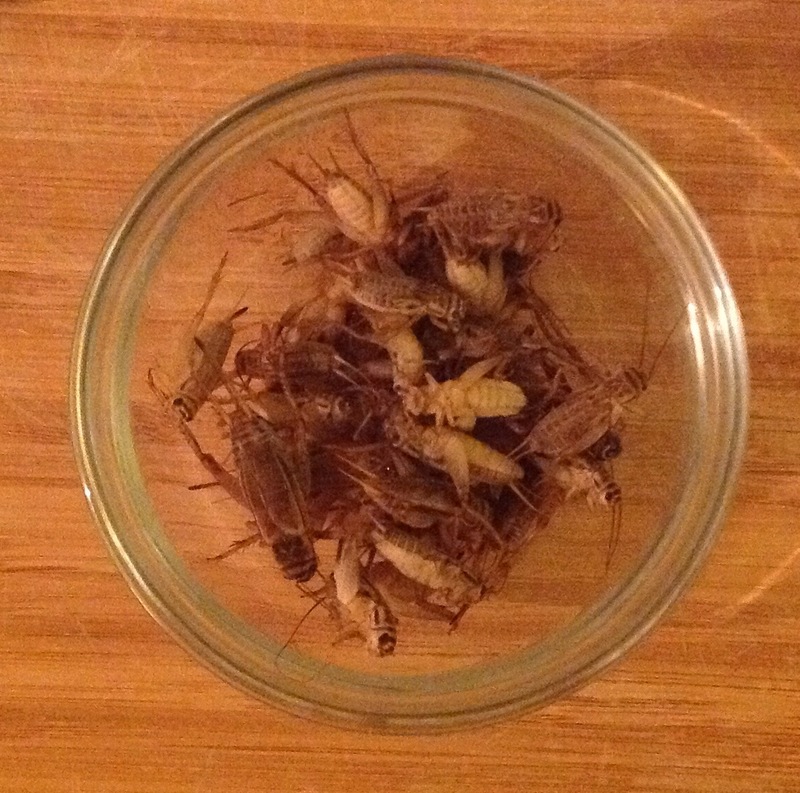 So if you buy a product with crickets in it at the store or online… how did the crickets get there? Most commercial food products are made the same way you make them at home. Commercial food factories just make a lot more, and efficiently. There are more differences of course, commercial production might use a motorized pump to move liquid from one place to another where in a kitchen it would just be done by hand. And because commercial operations create a lot of food, food safety takes on a different context. Processing of crickets for commercial use is similar to what you would do at home. Cricket used in food in North America are farmed. Not unlike the way we farm chickens. There farms that use good quality feed and take steps to ensure that the crickets are well taken care of. And there are farms that don’t. Its hard to find out where food ingredients actually come from so its good to ask details. Cricket farming is an established business for around the globe. In western cultures, most of the crickets end up as feed for exotic lizards. Demand for crickets is low compared to a lot of other industrial products. Farming is carried out with manual labor which is why crickets are more expensive than beef and chicken even though the inputs for crickets are less. Crickets are frozen to harvest them. This is a humane way to kill them. It also makes the next steps for processing easier because they are not jumping around. Frozen is a good way to keep crickets until they get processed. They can also be shipped from the farm to the processor frozen. Next… washing. Just to make sure they don’t have any frass on them and to remove any foreign material. Blanching is next. Arguably you can skip this step because crickets will be cooked during the dry roasting process. Dry roasting develops flavor and dehydrates. Removing moisture is necessary to make it shelf stable. Microbes need water to grow. Freeze drying is another route. Dry roasting is more efficient though. Milling… Dried crickets are then milled into a flour. From here you can add cricket flour to a number of different food products. Snack bars, breads, cookies, dips, etc. Commercial food product and ingredients are evaluated after they a produced to ensure quality. Microbe counts are a standard check to make sure there hasn’t been any contamination. Would you buy cricket products or make your own? Please Tweet your reply. This entry was posted in Product Development and tagged Crickets, entomphagy, Food, Processing on September 14, 2014 by Bob.